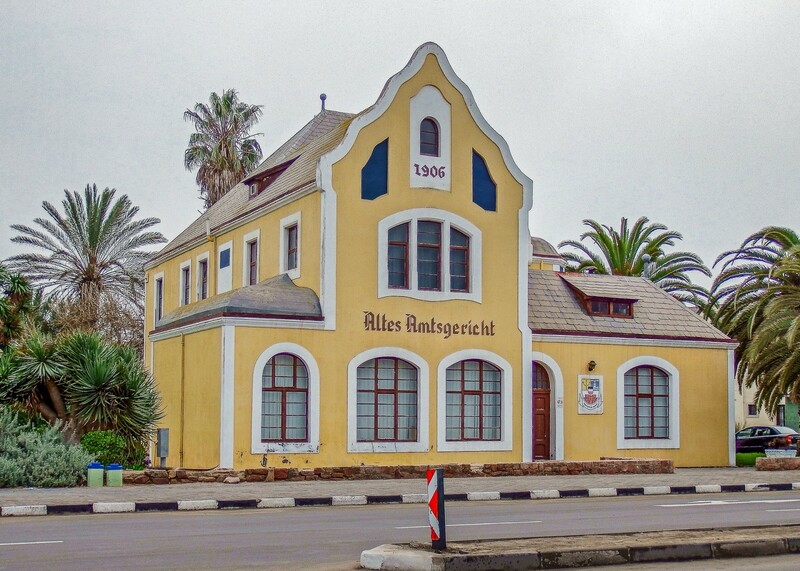 On the corner of Theo-Ben Gurirab Avenue and Tobias Hainyeko Street is the "Altes Amtsgericht" , built in 1906 as a school but then used as the magistrates office after the state had to complete the building when the private source of funds ran out. The building was restored in 1976 when it housed a municipal department. It has since been sold and used as offices so during office hours you may be able to get a glimpse of the interior. The building was designed by Otto Ertl who was also responsible for designing the prison and the Lutheran church so you will notice the similarities of features, such as the gables and turrets, of these buildings.